Many developers are currently enjoying iOS 10, and I suspect that not less than a few non-developers are enjoying it as well. But with the news that an iOS 9.3.2 jailbreak might soon be released, it may be time for some of you currently on iOS 10 to start thinking about downgrading. When it comes to downgrading from iOS 10 back to iOS 9, there are two main ways to do so. There’s the clean restore method, which wipes your device, and starts over from scratch; and there’s the update method, which allows you to retain much of your data and settings. Both methods have advantages and disadvantages, but if I had to recommend one method, it would definitely be the clean restore method. A clean restore will purge all of your data and personal settings, but it’s also a guarantee that everything will work as expected upon restore. The update method helps retain some of your data, but it won’t retain Messages app history or Phone app history. It can also introduce crashing problems with certain apps like the Music app. The presence of iCloud makes it easy to restore data back to device regardless of which method is used, but content like Messages and Phone call history will most likely be lost. If you installed iOS 10 and allowed iCloud to perform a backup, then you will not be able to restore that backup once you downgrade back to iOS 9.3.2. Backups created on iOS 10 cannot be applied to lesser versions of iOS. You’ll see an (iOS 10.0 Required) label on the backups found during the iCloud restore process. 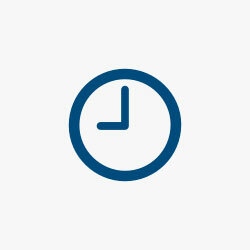 The same is true for backups performed via iTunes, although there are certain workarounds that users have employed in an attempt to get around that restriction. Here’s the thing: if you want to be able to restore from backup after downgrading from iOS 10, then make sure that you have a backup of iOS 9 to restore from. 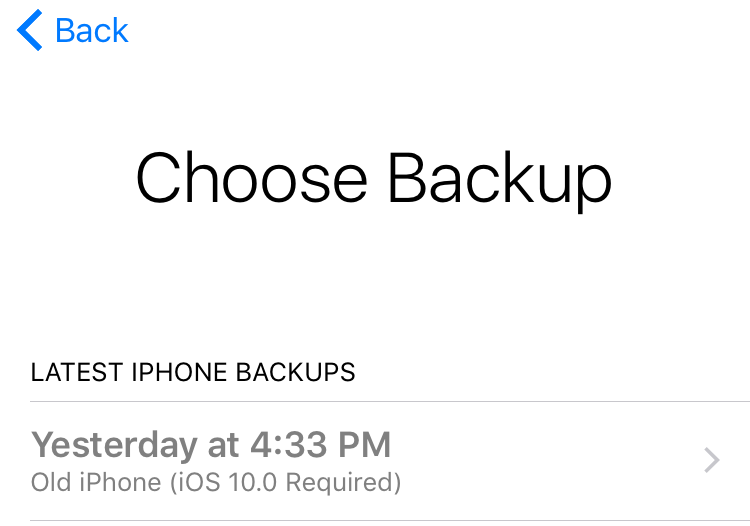 This means disabling iCloud backups directly after upgrading to iOS 10 so that it’s not overwritten with an iOS 10 backup, or saving off an iOS 9 backup via iTunes just before upgrading to iOS 10. There are methods for retaining message history on restores, but doing so is beyond the scope of this particular tutorial. Keep in mind that Apple does not sanction downgrades from beta versions of iOS, so proceed at your own risk. Step 1: Back up your iOS device. Step 2: Download the latest (currently iOS 9.3.2) public iOS 9 IPSW file to your computer. Step 3: Connect your iOS device to your computer via USB. Step 4: Launch iTunes and open the Summary page for your iOS device. Step 5: Hold the Option ( ⌥ ) key and click the Restore iPhone button. (Windows users will need to hold Shift instead of Option). Step 6: Select the iOS 9 IPSW file downloaded in step 2 and click Open. Your iOS device will now be downgraded back to iOS 10. It will take a while for the process to complete, so be patient. Step 5: Hold the Option ( ⌥ ) key and click the Check for Update button. (Windows users will need to hold Shift instead of Option). Your iOS device will now be downgraded back to iOS 9. This method makes it so that your device updates while keeping most app data, Home screen layout settings, etc. It will take a while for the process to complete, so be patient. In the video walkthrough below, I’ve sped up the file extraction and installation process to save time. Step 7: When prompted, Slide to upgrade and the enter your passcode to complete the process. If you used a configuration profile to install the iOS 10 beta, it will remain on your iOS device, which will allow you to easily upgrade back to the iOS 10 beta at a later time. If you don’t plan on using the iOS 10 beta again, the configuration profile, found in Settings → General → Profiles, can be deleted. Once Apple stops signing iOS 9.x.x, neither downgrade will work, but considering it’s only July, Apple will continue signing the latest version of 9.x.x until sometime after iOS 10 is released publicly. Are you currently running the iOS 10 beta? Have you contemplated downgrading? If so, are you considering downgrading due to the rumored iOS 9.3.2 jailbreak, or for some other reason?